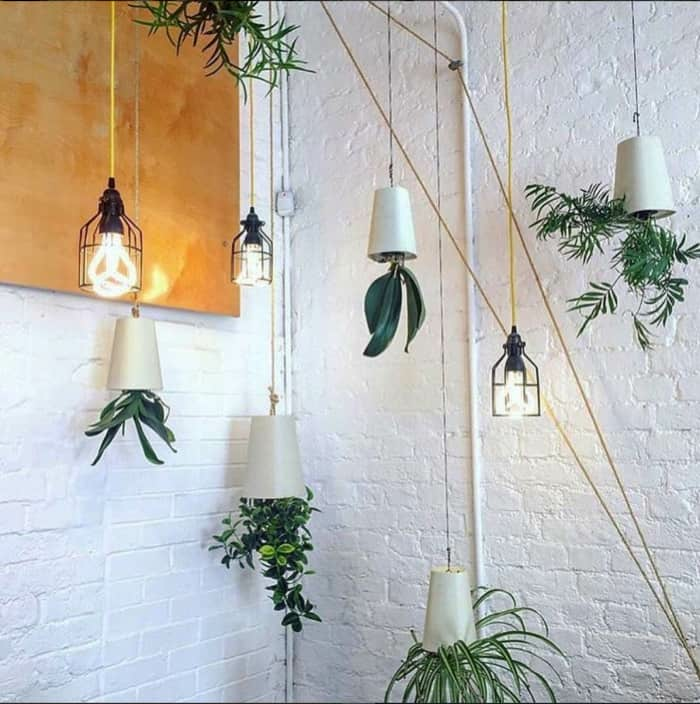 Make A Statement With Your Plants! When spring comes, nature awakens from the long winter. And so do our green thumbs and our motivation to take care of greenery! 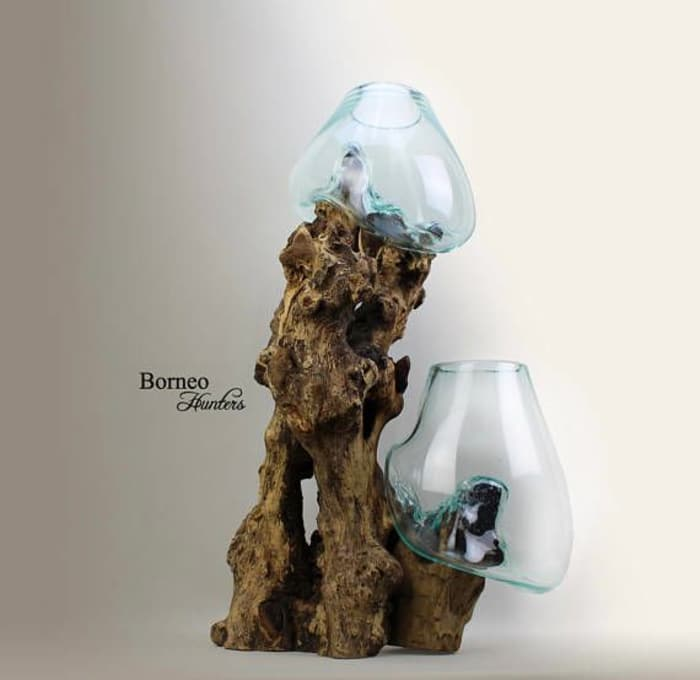 But plants – that already are great decorative pieces by themselves – can stand out even more if displayed in a special way. 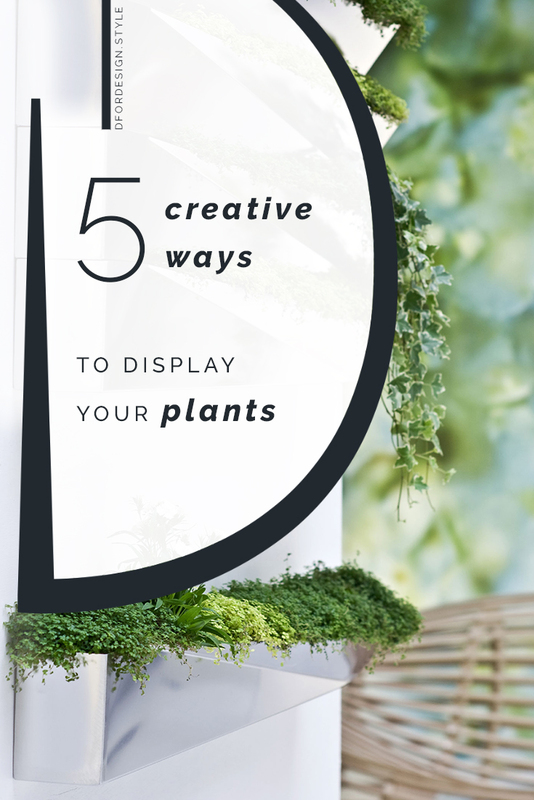 So here are 5 statement ideas to take the best out of your greenery …enjoy! 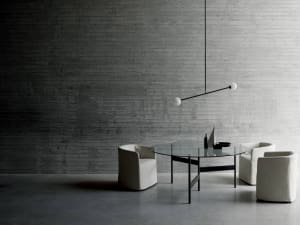 A sculptural vase can add so much personality to a space! Here is a wood root, used as base for two hand-blown glass vases. Full of character, it draws the eye and instantly elevates the level of any décor. 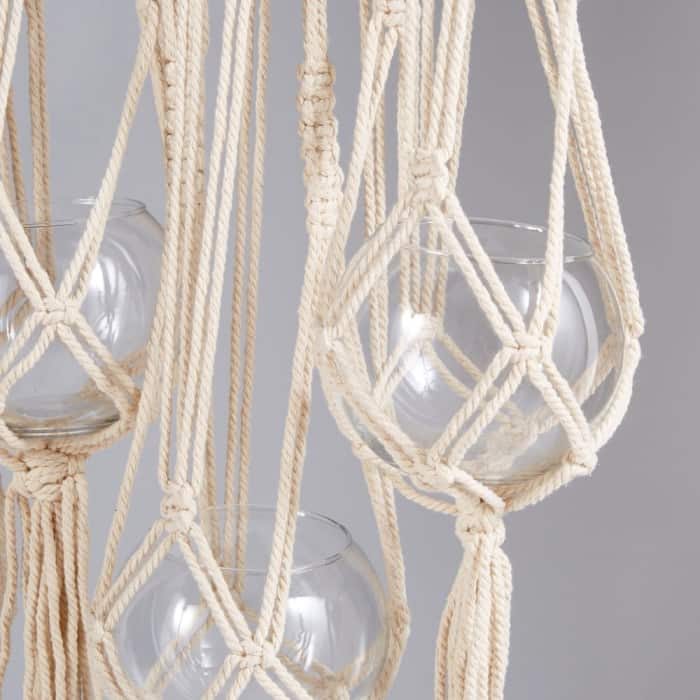 Great option if you want to make a statement while adding an organic touch. 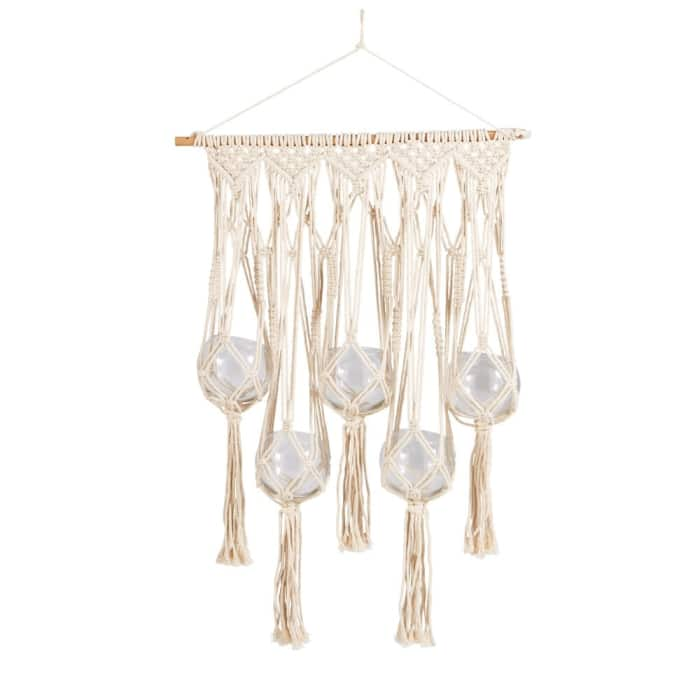 This hanging macramé is the perfect piece to bring in a bohemian vibe. 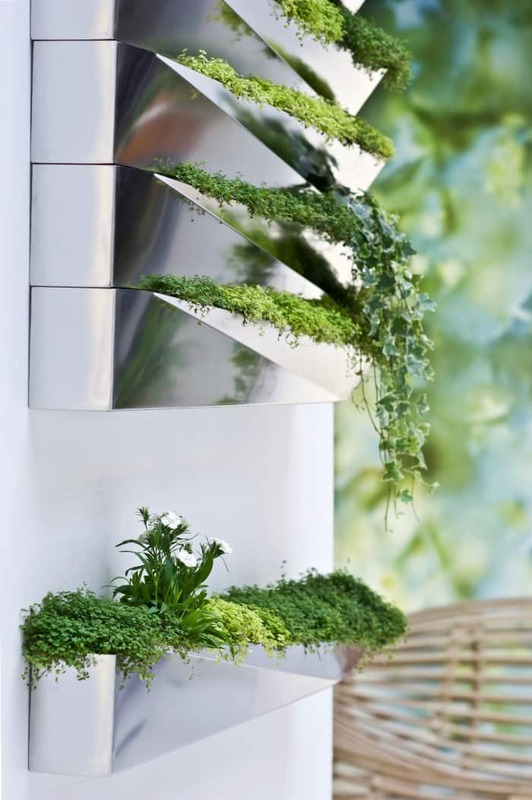 Housing your plants and decorating the wall space at the same time, it proves to be the ideal solution if you’re short on space! I personally love when objects serve more than one function, and this is definitely a fantastic example! 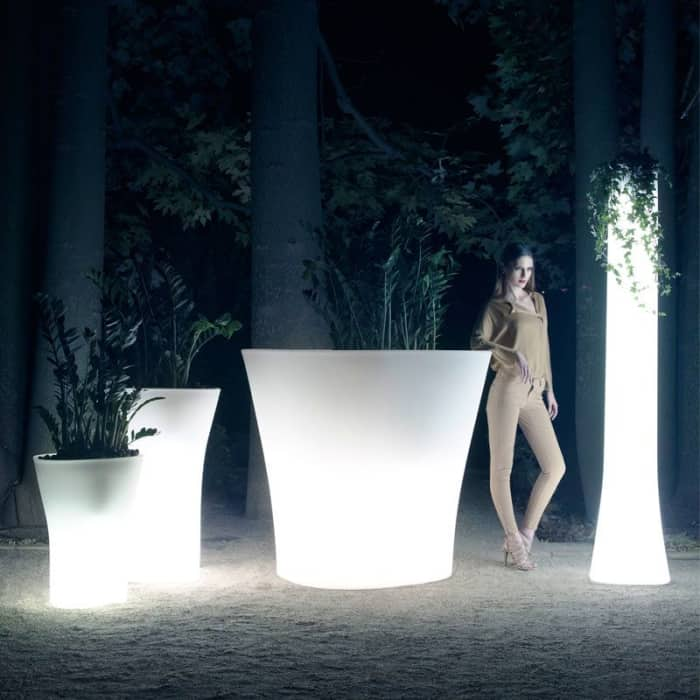 Pot and ambient light come together in this vases that – I’m sure – will also work great as a conversation starter! 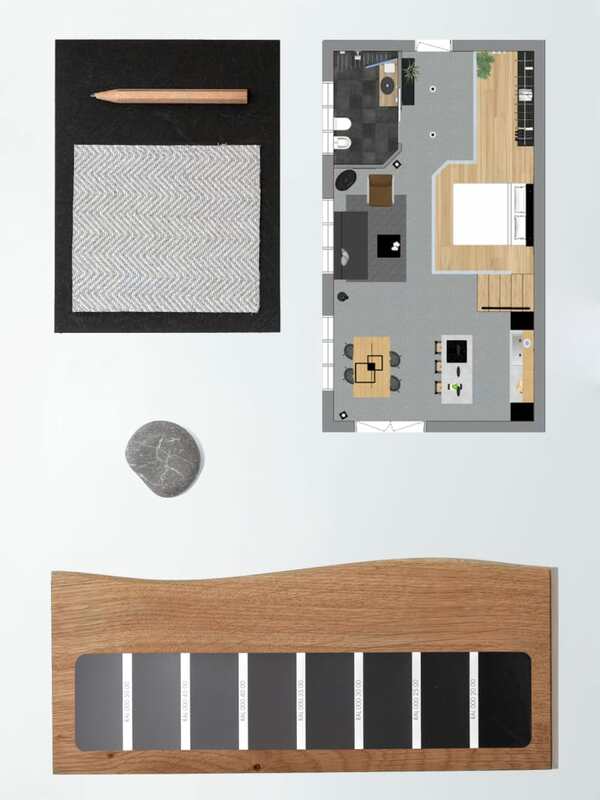 Available in multiple shapes and very diverse sizes, they can accomodate all needs. 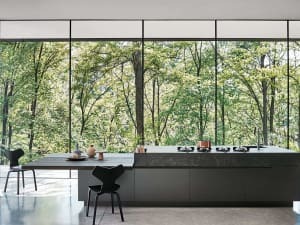 What about displaying plants upside down? Besides being a great option when space is limited, it’s super curious to observe the shape your greenery will take when growing bottom up! 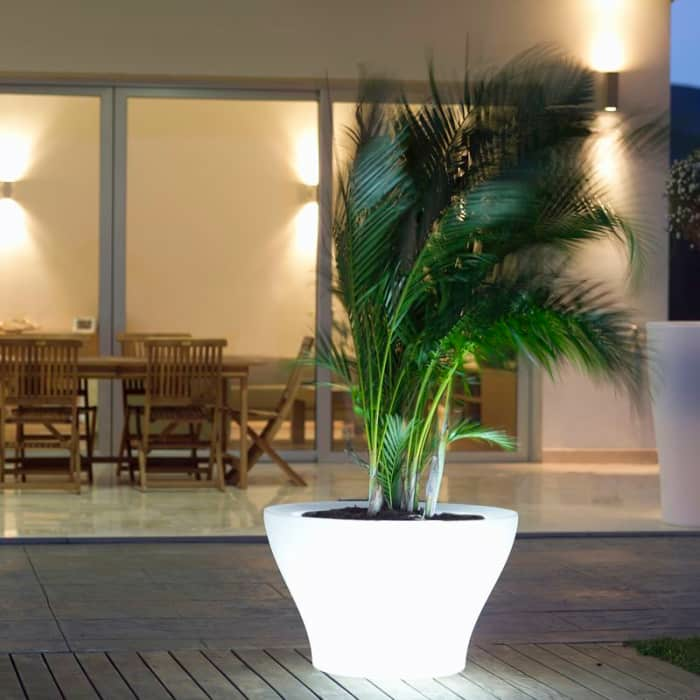 These planters instantly got my attention and my curiosity with regards to how they work. So, in case you’re also wondering, here are more details. 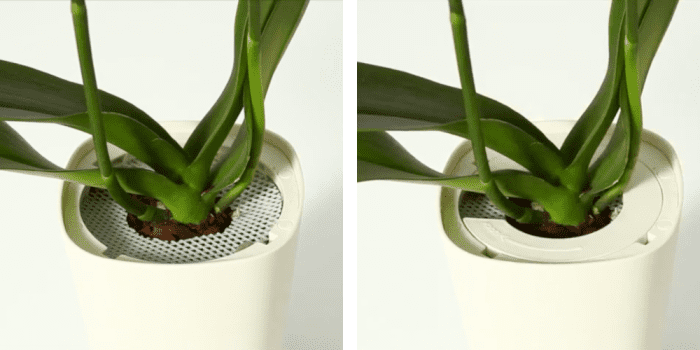 Once the plant is put in place (just like in a regular vase), the soil is covered with a dense mesh. A plastic disc is then locked to the vase to secure the whole thing and voilà, the planter is ready to be rotated! 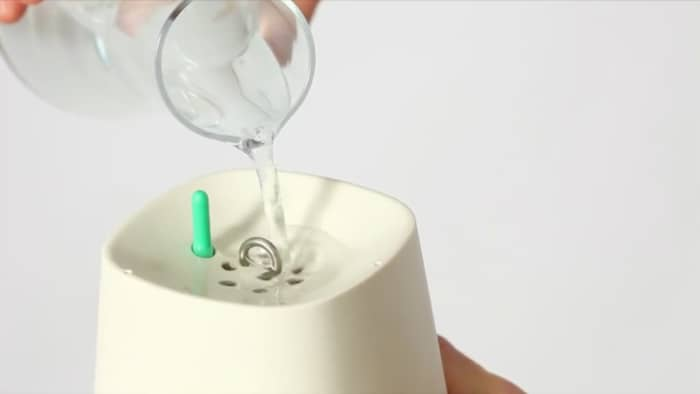 Also, an ingenious irrigation system allows to easily water the plants directly from the top! 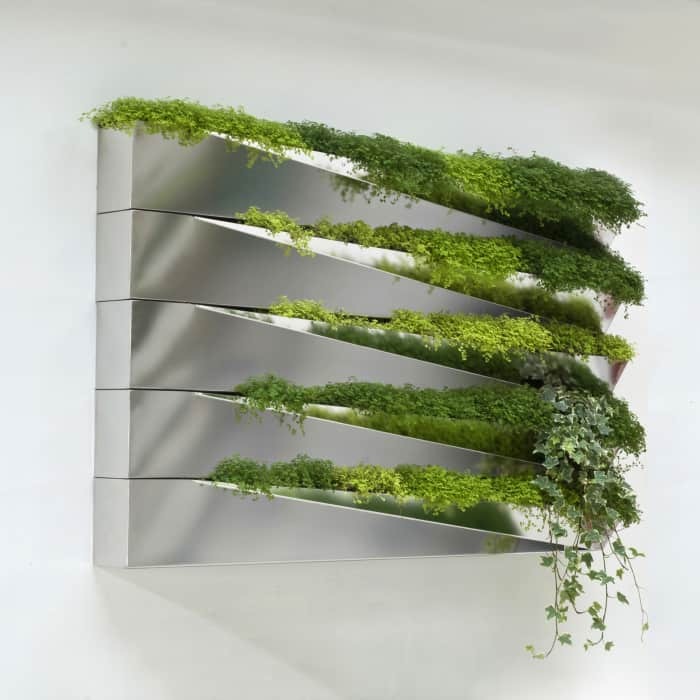 This sleek and modern hanging planter acts as a fantastic frame for plants and highlights the beauty of greenery with always changing reflections, that vary with the point of view. 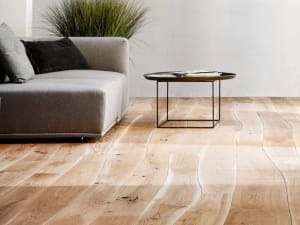 Each row being independent, it leaves freedom to either choose a minimal one-row display or create an amazing waterfall effect. All rows are also equipped with a water channel that ensures adequate irrigation and prevent water build-ups. And the result is a stunning living artwork! 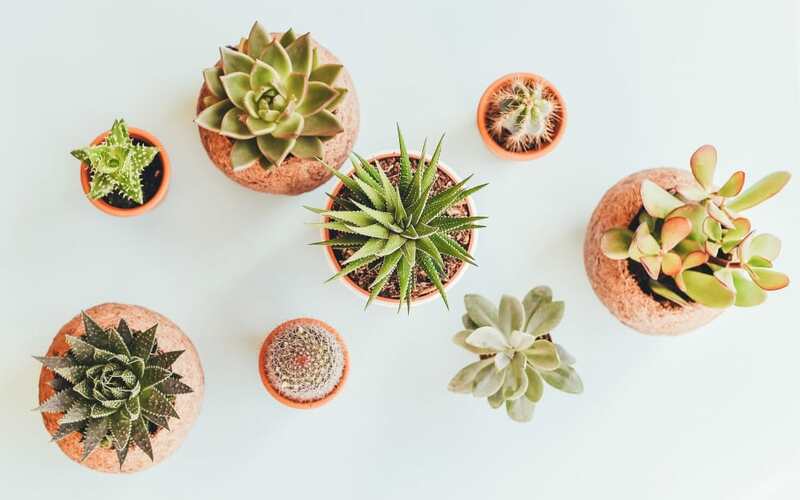 I’m sure these ideas brought you in the right mood to put your green thumb at work… Which option is your favourite?